What's scarier than an authoritative government that censors and corrupts its artists? The literal devil! 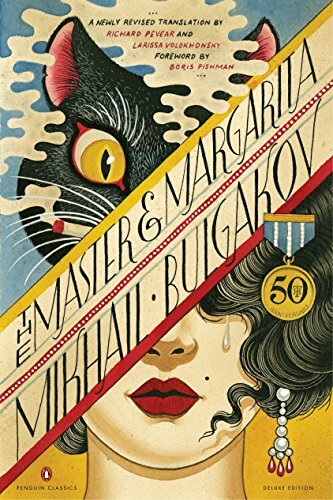 This week we're talking about The Master and Margarita by Mikhail Bulgakov, a seminal work in the 20th-century Russian canon and an exploration of just how weird stuff needs to get for the devil to introduce you to Pontius Pilate. Spooky talking points include witch cream, vices, and Joseph Stalin's Haunted House.